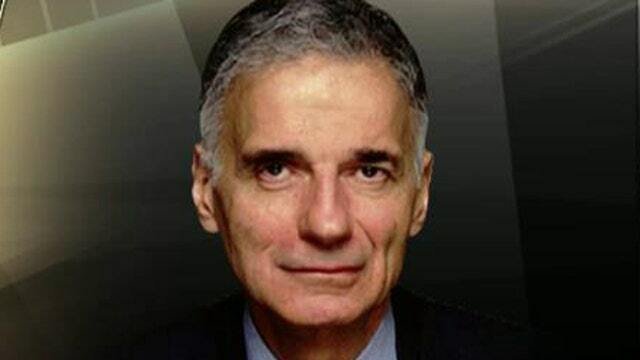 Four-time presidential candidate Ralph Nader weighs in on Donald Trump’s 2016 presidential bid. Four-time presidential candidate Ralph Nader is “delighted” with Donald Trump’s refusal to rule out an independent run for the presidency. While the LA Times called Trump the “right-wing Nader,” he sees differences in their strategies. Nader believes Trump’s boldness is a “nightmare” for the Republican Party. “By being brazen, Trump is punctuating the progressive agenda -- the progressive critique of big business, Wall Street over Main Street… I’ve always said the only people who can break up a two party tyranny that stifles the voices of small parties and independent candidates are billionaires, and we’ve got one called Trump,” he said.